Supported Marketplaces: US, UK, DE, ES, FR, IT, JP, CA, AU, MX, IN. This is the only tool in the market which can extract the 100% exact backend keywords from any ASIN! 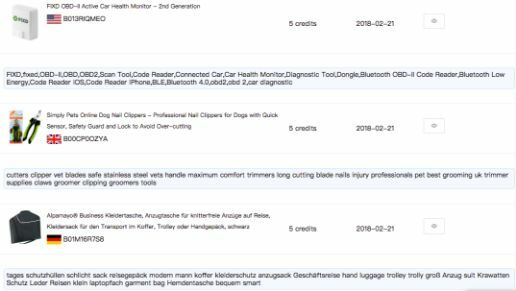 Simply paste any ASIN into the search box and you will see the Exact keywords that seller is using at its backend search term fields in the exact same order! 100% Accuracy & Legit Guarantee! Feel free to try with your own ASIN. You will be impressed! The only reverse ASIN tool that extracts data directly from Amazon database instead of crawling search result pages. Extract all your competitors sales-generating keywords with 100% accurate search volume and sales velocity data. Fully integrate with our Chrome Extension to pull real-time ranking and competition data from Amazon. The only source for 100% accurate keyword data from Amazon, updated monthly. 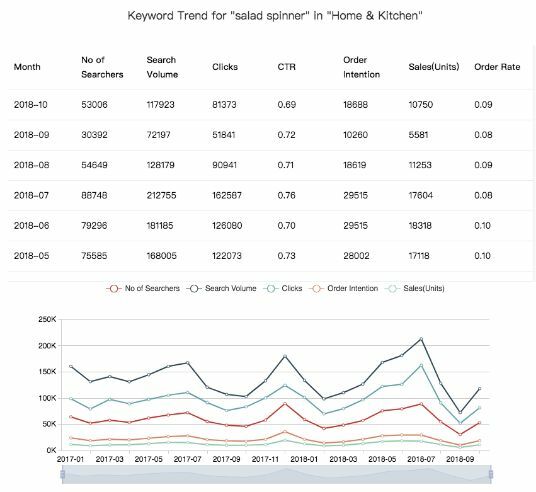 See the monthly searches, clicks and sales trend for any keyword in any department. Validate your new product ideas by checking the real demand and seasonality behind its main keywords. Internal ASIN report that is provided by directly by Amazon! It shows you the exact daily organic sales data of that product. It provides you with those exact keywords that are bringing organic sales to that product with the sales-generate percentage. No more guessing for keywords. You have access to Amazon's internal data now! 100% accurate 2-month sponsored ads reports for any Amazon store exported directly from Amazon. It contains 3 reports in 1 package to give you a complete understanding of your competitor's ads performance & strategy! 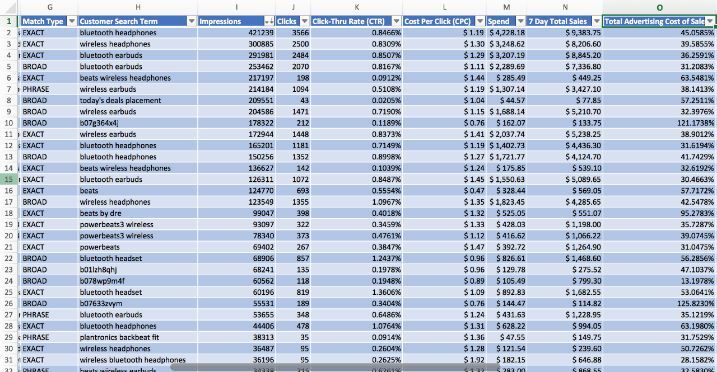 Know the exact ACoS and sales for each search term your competitors are bidding for. Save you thousands of dollars from manual ads testing!